Excellent granite and marble polish to enhance shine and protect the surface of polished stone. 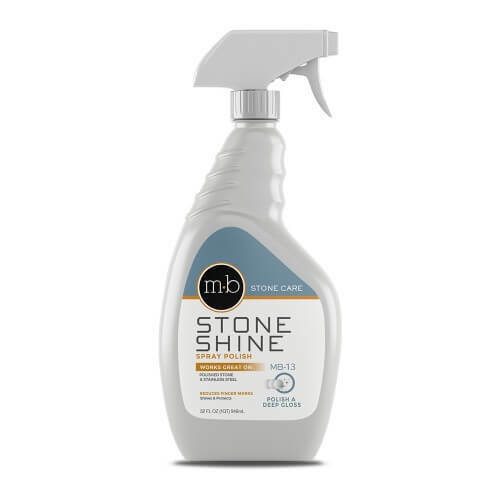 A specific type of stone and marble polish this topical 'dressing' employs special polymers, organic emulsifiers and natural moisturizers to penetrate the stone creating a smooth, non-wax shield. 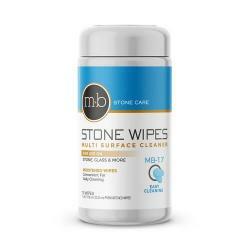 Stone Care topical polish enhances shine, minimizes fingerprints, repels water, simplifies and improves cleaning ability, protects the surface and visually restores slightly worn surfaces. Use on polished marble and granite countertops, polished travertine tile, limestone, onyx, quartzite, all other natural stone and quartz countertops. Friends will wonder how your countertops look so luxurious! Super product for polished marble maintenance, routine quartz and granite countertop care, and stone shower surrounds. 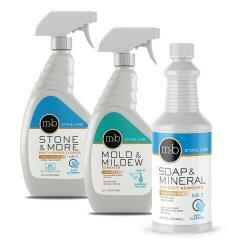 Also for use on unglazed porcelain and ceramic tile and grout and stainless steel appliances. NOTE: Should not be used on floors. 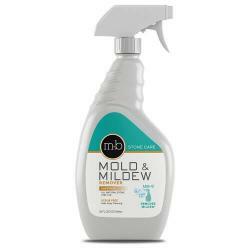 This product will make the surface extra slippery and dangerous when used on flooring. Will not repair etching or excessively dull countertops. 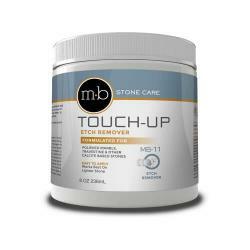 To repair dull spots from chemical etching use the Etch Remover / Marble Polishing product. Not a bit pleased with product. Left no shine at all. COUNTERTOP SPECIALTY COMMENT: Thanks for your feedback Carolyn. We're very sorry you were not happy with the product. Note this product does not "add" or "create" a shine. If the surface is dull or damaged it will not make it shiny. For example, glass cleaner does not make a mirror reflective. That quality is part of the mirror. The shine is part of the stone. It isn't created by a product. This product will enhance the shine that exists to make it really pop. It works much like car wax makes your car's paint color and shine look its best, but won't make weathered paint shiny. 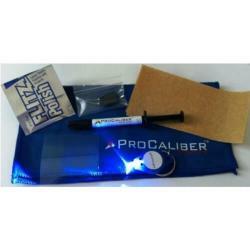 Please know we are here to help with all product application questions and issues. We gladly provide guidance to get the most from the product and achieve the desired results. I received this on time. The products were fantastic. 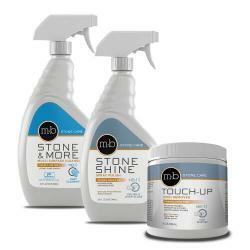 I would recommend both these items (Topical Conditioner & Stone Plus) and the company to anybody. The quartz cleanser cleaned my counters beautifully. I polish them every few weeks and they look gorgeous. I will remain a customer of theirs and their wonderful products. What an appropriate name for a product that works exactly as advertised! With “Dazzle” applied to the breakfast bar area, we noticed a deeper, more glass-like shine to the surface that reflected light better than the non-treated areas of the countertop. It also felt smoother and provided less friction that seems to make maintenance and care easier. Dazzle adds a visual POP that really brings out the polished beauty of the granite surfaces. The final finish is a very nice compliment to the Stone Plus Cleaner we use daily and will be part of our on-going care to bring out the best our beautiful countertops have to offer!